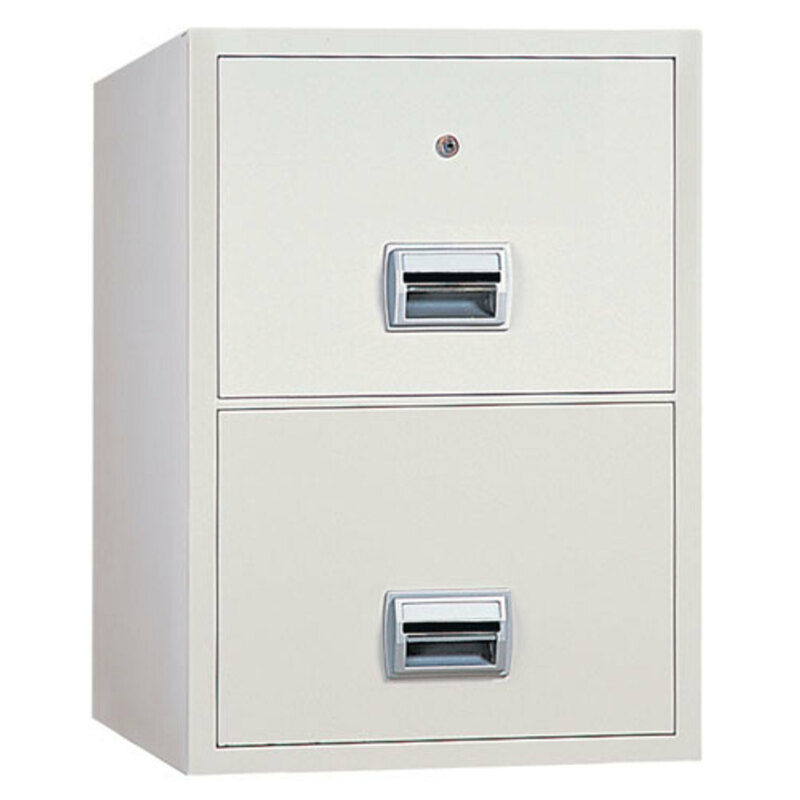 No office should be without a fireproof filing cabinet capable of providing guaranteed protection for important documents. The Rottner Firefile has been tested to the stringent NT FIRE 017 fire resistance standard. During this test, the cabinet is heated to almost 1000° Celsius. It must maintain an internal temperature no higher than 177° Celsius during this time. Above this point, paper will char or combust. The Firefile provides the maximum level of storage and great value too. Each drawer can hold an impressive 100kg of foolscap or A4 files. Four bolt locking secures each drawer and is operated via a single key lock. The key lock can be replaced with a user friendly electronic lock for increased security.